World's first antimicrobial protected sonic skin cleansing brush that guards against 99.9% of bacteria that can form on brushes between use so the brushes stay cleaner and fresher longer. 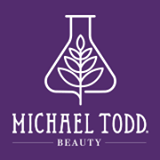 Michael Todd's Soniclear Elite System is the perfect way to achieve the radiant skin we all desire! I used to have a device like this years ago and liked it pretty well but this Michael Todd's Soniclear Elite System blows that device out of the water. I've been using this device for a couple of weeks now and my skin looks amazing. I literally look years younger and my skin feels baby soft. My skin has also cleared up and looks incredibly healthy and radiant. Applying my makeup has become much easier because my foundation seems to glide on with ease. I cannot believe how incredible my skin looks. I can even skip makeup and still feel confidant because my skin has a constant healthy glow to it. 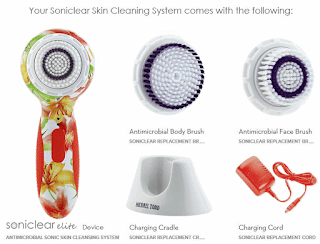 Michael Todd's Soniclear Elite System is waterproof so you can use it in the shower and don't have to worry about keeping it dry. It also has 6 speeds so there's sure to be a perfect speed for you. Of course it's also rechargeable! Simply set it in it's charging cradle and it will be charged and ready to go the next time you need it. I'm also head over heals in love with the design of Michael Todd's Soniclear Elite System. It fits in my hand perfectly and the non slip sides keep even me from dropping it. The buttons are incredibly easy to push and I was able to figure out how to operate it in a matter of seconds. The brush head is so soft and cleans ever nook and cranny of my face with ease. I love how it feels on my skin and have to add that it's incredibly relaxing to use. 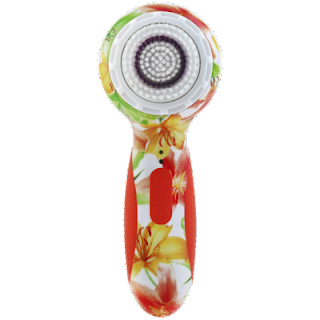 The brush head is also antimicrobial so you don't have to worry about germs or bacteria growing on your brush. Michael Todd's Soniclear Elite System is also very lightweight and comes in several different patterns so you're sure to find one you absolutely love! Michael Todd's Soniclear Elite System also comes with this handy case which is perfect for traveling and keeping your Michael Todd's Soniclear Elite System safe and sound. Click HERE to purchase and save 20%!